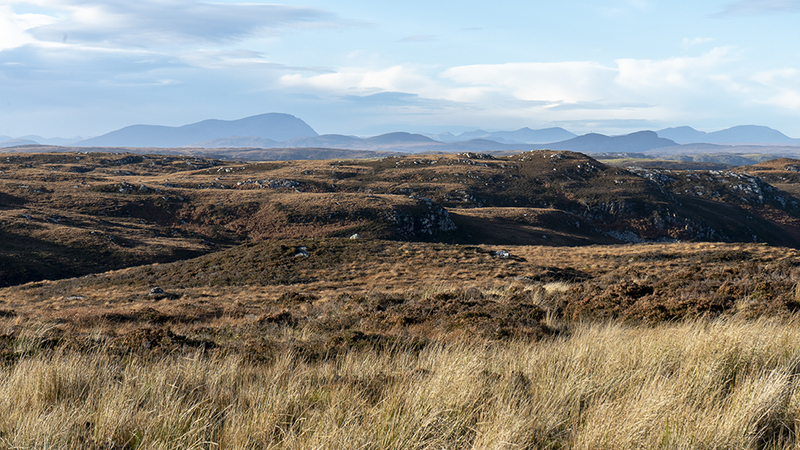 I’m embarking on a new project inspired by the Flow Country in the far north of Scotland. I’ll be creating a new outdoor installation inspired by the Flow Country to be part of a group show at Edinburgh Botanical Gardens in Summer 2019 with artists Luci Holland, Matthew Olden and Heather Lander, produced by Cryptic in partnership with the Flows to the Future project. For an initial period of research, I spent two days at the RSPB site in Forsinard learning about the area. 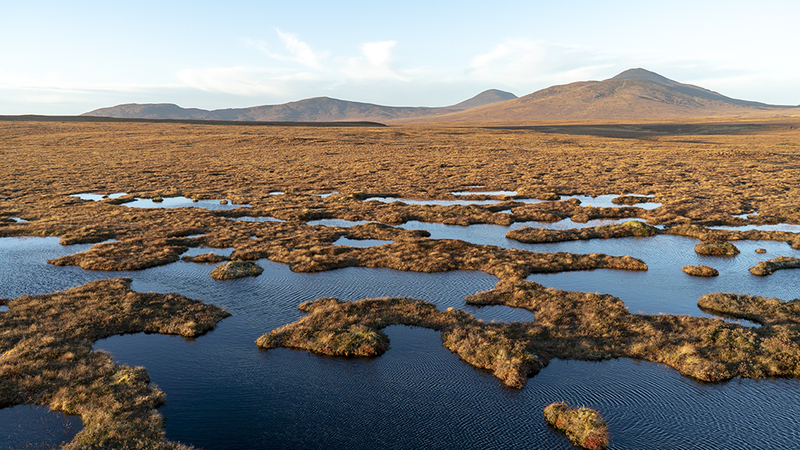 The Flow country is home to a large area of blanket peat bog made up from a complex ecosystem which has developed over a long period of time. 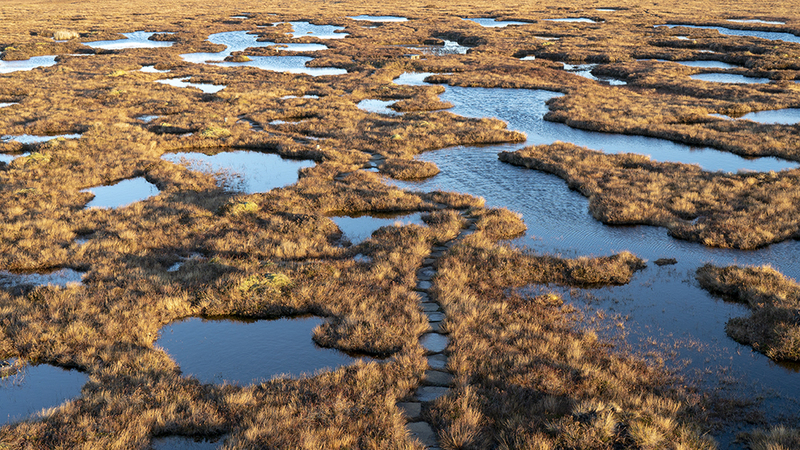 The peat bog is important globally for many reasons, an important one being it’s natural ability to act as a carbon sink. Restoration work is taking place across the bog and it was fascinating to learn about this and get involved in some of the processes, including planning for drain blocking and peat probing to record the depths of peat in different locations. Drains need to be blocked to help restore the water levels to ensure the formation of peat from the rich varieties of mosses present. More to follow in this post shortly… including recordings from the depths of the bog ! … please come back again! 25 November, 2018 | Filed under Current Work.